When we spoke with Annie Norman of Bad Squiddo Games back on Episode 197 of the podcast, she talked about a range of horror miniatures that she was hoping to bring to market. 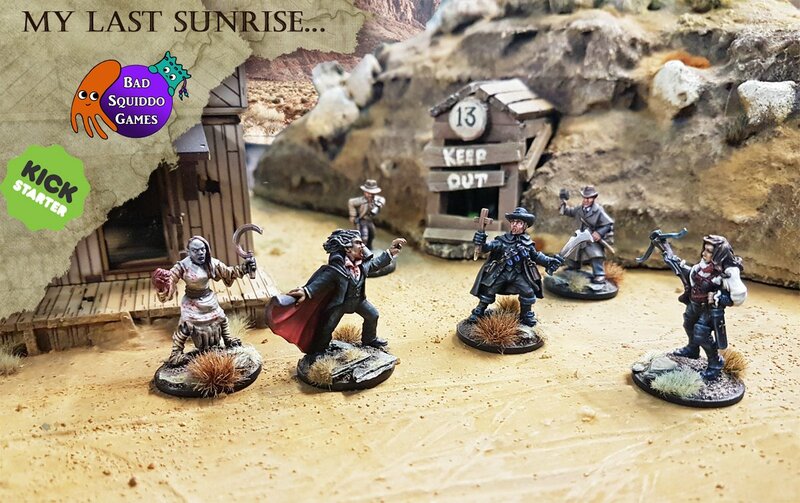 My Last Sunrise has just launched on Kickstarter – it’s a range of Vampire Hunters, plus a Vampire and his brides and thralls. If you pledge for the full range of 13 miniatures, it will cost you £40 plus postage. The Kickstarter is looking for a modest funding target of £500, and is also due to complete and fulfil in a very short timescale – we are looking at a few weeks here until delivery. The project is only running for 4 days, so get it quick!